Purchasing a used vehicle in the city Hamilton should not be a risky deal! Have you decided on purchasing a used vehicle? Are you concerned about the stories you hear about people who purchased a BMW from a private source only to have it break down within three months? This page essentially highlights why you should not be afraid while buying used a vehicle in Hamilton at Budds’ BMW. Buying a used car from any unknown source can increase the risk of getting scammed because the deal does not fall under any legal section. If the owner of the car refuses any obligation, you have no legal ground to stand on. However, this particular situation is quite different for registered dealers like Budds’BMW Hamilton. Budds’ BMW is legally responsible for providing customers the best services. Our clients can trust that we will uphold our post purchase services and warranty of their used vehicles. For this reason our customers can have faith in the quality of their used vehicles. However, some problems appear regarding third party warranty issues. Private sellers cannot offer any guarantees or an extended warranty on the used vehicles that they sell. Be sure to check out our used vehicles before purchase! Before buying a used car, one must essentially check with the dealership for every details of the car. Budds’ BMW is happy to provide you all the details; we believe it would be safer for you to know all the details. It is safe to assume that if a vehicle is running smoothly from the time of purchase, it must be still in a good condition. However if the used vehicle has gone through many changes and repairs, the condition of the car may not be fully optimal. You should still check both the interior and exterior parts of the car that would enable you find out the flaws if there are any. Is the car mechanically fit? Before buying a used vehicle in Hamilton, you need to check every mechanical part to make sure the parts are in working order. At our Hamilton location we have test drive services available for you, so that you can try out our different models before you buy. If you’re ever unsure on the mechanics of your used BMW vehicle, you can always book an appointment with one of our service technicians here. Look through our online catalogue to find the used vehicle you want! Now that you know about some of the common concerns regarding the purchase of used vehicles, you can avoid buyer’s remorse and purchase the right used vehicle from Budds BMW with confidence. 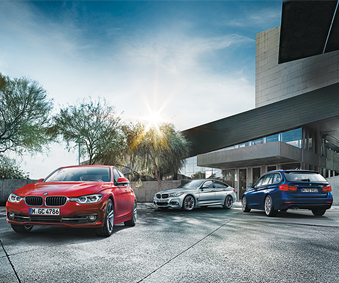 At Budds BMW we are exceptionally stick about which vehicles qualify to be a Budds BMW certified series. To be qualified the BMW vehicle must pass an extensive examination. So, from the next time when you opt for a used BMW, make the right choice and buy from Budds’ BMW in Hamilton.